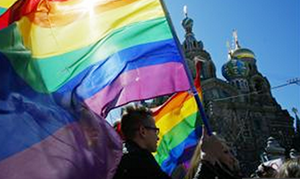 Sen. Jeff Merkley plans to introduce a Senate resolution calling on the International Olympic Committee to denounce and oppose Russia’s anti-LGBT propaganda law and receive guarantees about the law’s enforcement during the Sochi 2014 Winter Olympics. The resolution will ask the IOC both to oppose the law itself and to receive a guarantee that athletes and spectators will not be discriminated against on the basis of sexual orientation or gender identity at the Sochi Winter Olympics, Merkley spokesman Jamal Raad said. The language is still being finalized, however, and he said the resolution will not be introduced formally until the Senate returns from its August recess. The resolution would be the Senate’s first formal statement regarding the Russian law, which was signed by Russian President Vladimir Putin in June. The Human Rights Campaign praised Merkley — also the lead sponsor of the Employment Non-Discrimination Act, which would ban anti-LGBT discrimination in employment in the U.S. — for the move. Can’t wait to see how many Republicans vote against this resolution and condone the persecution of LGBT people in Russia as well as the violent atmosphere that has resulted in LGBT people being beaten, tortured, and murdered by bigoted vigilantes. Meanwhile, President Obama, Secretary of State Kerry, and the U.S. Goverment has remained silent on the matter and has not issued any denouncement of the Russian goverment itself.